John Murnane has more than 35 years’ experience as a litigator in patent and trade secret cases. He has appeared as lead counsel in such matters since 1986, representing clients in federal trial courts throughout the United States, before the International Trade Commission, the Federal Circuit Court of Appeals and the US Patent and Trademark Office Patent Trial and Appeal Board. Mr Murnane has represented many companies in complex litigations involving patents in a variety of fields. Since the early 1990s, he has advised and represented pharmaceutical and biotechnology companies in numerous matters, including litigations involving doxycycline, mutated enzymes, hormone replacement therapy, Abilify, Sensipar and Plavix. He has also been lead counsel in cases involving patents in the fields of aramid fibre products, catalysed reactions, cellulose processing, permanent press resins, truck tyres, hydrocarbon processing and building materials. In addition to litigation, Mr Murnane has an extensive practice in patent counselling, opinion work, patent re-examinations and licensing, and has been responsible for supervising the patent prosecution of several major corporations. In 1997 Governor George E Pataki appointed him to the New York State Task Force on Life and the Law, on which he continues to serve. He was an adjunct professor of law at Fordham University from 1989 to 1993 and at Hofstra University from 1986 to 1989. 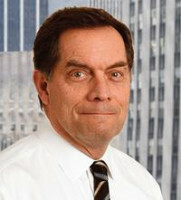 He is a past president of the New York Intellectual Property Law Association. Mr Murnane is a member of the firm’s management committee and chair of its chemicals practice group. According to Managing Intellectual Property’s IP Stars (2013-2015), Mr Murnane “has excellent insight and gets to the core issues quickly”.